Advil Tablets 150 ct., liqui-gels 120 ct. or PM 80 ct.
Multi-Pack Crest, Fixodent, Glide or Oral-B (2 and 4 packs only, excludes brush heads and clearance items). Final price: 70% off if you can spend exactly $10! 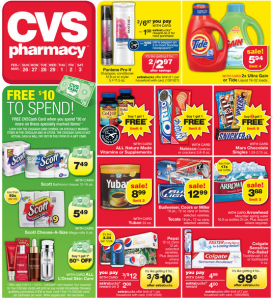 Receive a FREE $10 CVSCash Card when you spend $30 or more on these specially marked items. Prices below do not reflect the $10 cash card. Note: this was in the early adscan, but now I cannot find it. 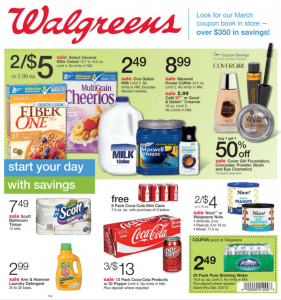 If this is a dead deal, don’t worry, because it is in the adscan for the week of 3/18-3/24. Yeehaw. Check out all these freebies this week at Wags! I’ll see you in the aisles!